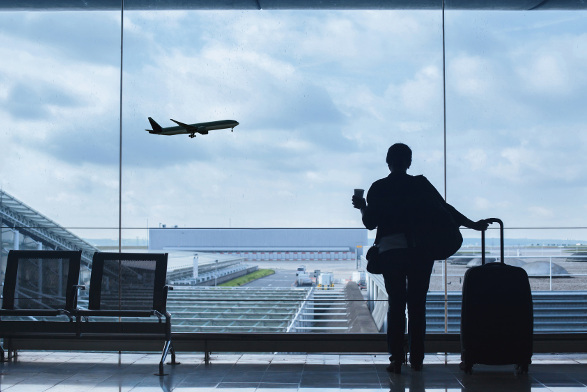 Lanseria International Airport, situated in the suburbs north-west of Johannesburg, offers cheaper air fares and a more convenient distance from the city of Pretoria. This privately-owned airport started out as a grass-strip airfield in 1972 and was formerly an executive airport for corporate travellers. Today, Lanseria gives you easier access to the northern suburbs of Johannesburg. Lanseria International Airport is Johannesburg’s alternative airport and is a hub airport for Kulula. Consider flying to Lanseria Airport (code HLA) in the northwest suburbs. This private airport (not part of ACSA) offer flights to/from Johannesburg on all the major players including Kulula, 1 Time, Mango, SAA and British Airways Comair. HLA is a 50-minute drive from the city centre of Johannesburg. Book your cheap flights to and from Lanseria International Airport online! Lanseria International Airport is a privately-owned airport in South Africa. This airport made history in 1990 when it was the first location in Gauteng that former President Nelson Mandela set foot on, following his release from prison. Increased demand in 1999 saw to the expansion of the airport, making this the fourth largest airport by passenger numbers in the country. Lanseria operates scheduled flights to some of the major cities and towns of South Africa. This airport’s continued growth means that it may eventually become the third busiest airport in the country. Popular flight routes to Lanseria International Airport are from Cape Town to Lanseria and Durban to Lanseria. Explore the small number of shops at Lanseria International Airport, situated around a spacious area. Indulge in your shopping desires and browse through a variety of products, such as electronics, jewellery, cosmetics, clothing, toys and everything else you could possibly need. Services include ATMs and foreign exchange. Make sure to stay up to date on baggage restrictions and duty-free allowances at your destination. Lanseria includes a number of cafés and restaurants, which offer a range of meal options. The Lanseria International Airport VIP lounge includes a large, luxuriously furnished space with views over the runway. Facilities and features available in this area include a luxury bar, a cigar lounge, complimentary daily newspapers and magazines, as well as a plasma television with satellite channels. Other features available upon request include shower facilities, breakfast, lunch, dinner, snacks, sweet and savoury snack platters, scented hot towels, welcome drinks, massages and limited beauty treatments. Walk-in customers are welcome, and the VIP lounge at Lanseria can be booked for small events. Lanseria Country Estate This 3-star lodge is a short 15-minute drive from the Lanseria International Airport. Amenities include child care, daily breakfast, laundry facilities and a restaurant. Complimentary Wi-Fi and complimentary parking are available. Shumba Valley Lodge This 4-star lodge is a brief 5-minute drive from the Lanseria Airport. Amenities include a fitness centre, seasonal outdoor pool, airport shuttle and a restaurant. Complimentary buffet breakfast, complimentary Wi-Fi and complimentary parking are available. Toadbury Hall Country Hotel This 5-star hotel is a 10-minute drive from the Lanseria International Airport. Amenities include air conditioning, airport shuttle, an outdoor pool, meeting room, luggage storage and a restaurant. Additionally, there is complimentary cooked-to-order breakfast, complimentary Wi-Fi and complimentary parking. You can usually purchase foreign exchange 60 days before departing South Africa. Tower Bureau de Change, a South African Reserve Bank Approved Dealer with Limited Authority, is situated on the ground floor of the main terminal building. Parking options available at Lanseria International Airport include safe and secure parking bays, for both short- and long-term stays. Visitors travelling with a trailer will need to park the trailer in a separate bay and inform the officials to ensure being charged for only one spot. Disabled parking bays are available (look out for the special-marked bays). The availability of parking works on a first come, first served basis. There is no need to pre-book. The payment machines inside the Lanseria Airport building accept both cash and credit card payments. Lanseria International Airport is a 50-km southeast drive of Johannesburg’s city centre, while Pretoria is 55-km north-east drive from the airport. Taxis, Uber, airport shuttles and car hire options are available to get you from the airport to your destination. Lanseria International Airport Physical Address: Airport Road, Lanseria, Johannesburg, South Africa.